The Ceylon Institute of Builders (CIOB) has partnered with the South Asian Lean Construction Institute to introduce a new study programme on Lean Construction Management especially targeting businessmen and professionals in Sri Lanka’s construction industry. The core objective of initiating the course is to offer lean construction management practices to industry players as a solution to cut down on the substantial costs incurred at present on constructions. Amongst Asian nations, Sri Lanka figures as the most costly country for constructions. The first stage of the Lean Construction Management programme will begin on February 21, followed by the second phase on March 28. 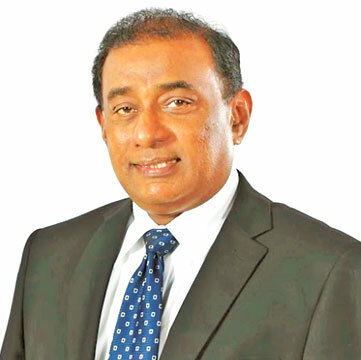 Expressing his thoughts on the introduction of the new course, Dr. Rohan Karunaratne, Chairman of the CIOB, said, “In comparison with other Asian countries, the cost involved to build a square foot in Sri Lanka is about 25% more. “ Waste in the construction industry can be cut down effectively by adhering to lean construction management practices. We have introduced the new study program on the subject with this objective in mind. The Lean Construction Management course is a tailor made option to enhance the knowledge and skills of entrepreneurs, project managers and contractors in the construction industry. On completing the course, a certificate recognized both locally and internationally will be awarded to the participants. Eminent local and foreign resource persons with expertise on lean construction management practices will conduct the course. During the sessions, the practicality of adopting the Lean Construction Management concept to reduce waste when handling a project will be clearly outlined”. The CIOB is the leader in introducing and promoting green constructions in Sri Lanka. As the premier professional body, it evaluates and award the CIOB Green Mark certification to large-scale constructions, organizes the Green Awards ceremony annually, conducts higher training programs for executive grade officers of leading construction companies on initiating green constructions on par with international quality standards and introducing a green credit card to purchase construction materials. In addition, CIOB also publishes the ‘Construction Today’ magazine, organizes the annual World Construction Summit as well as the annual Green Constructions exhibition.